Arrange toasts on a baking sheet. Mix mayonnaise and garlic. Spread evenly on the toasts. Arrange slices of chicken on each toast. Top with slices of Brie. 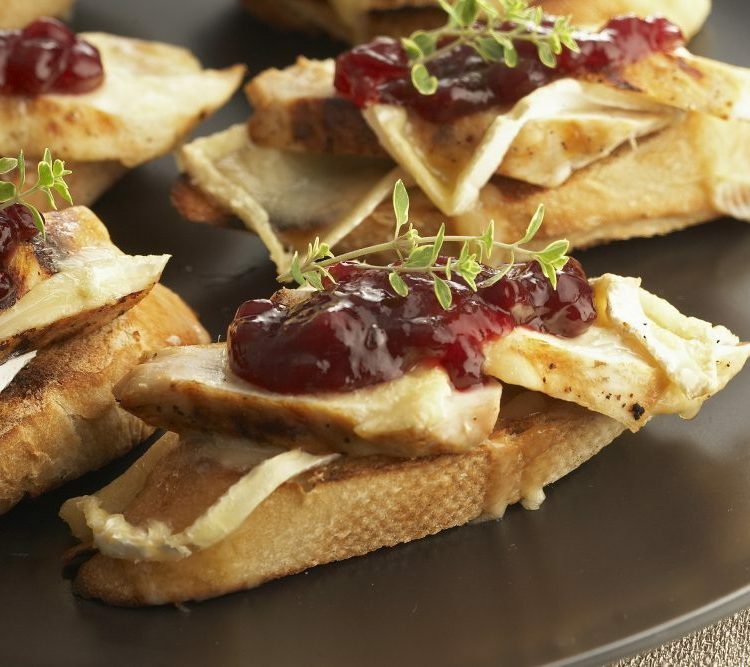 Broil toasts for 4-5 minutes or until Brie is melted. Top each toast with a spoonful of jam and some fresh thyme. Serve with cut up vegetables or a bowl of soup. Tips: Use French or sour dough bread cut on an angle. Substitute mango chutney, cranberry sauce, or a hot pepper jelly for the fruit jam.